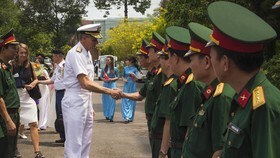 The Ho Chi Minh Communist Youth Union of the Thua Thien-Hue Provincial Border Guard High Command presented a charity house to lieutenant Vo Van Vinh’s family in Hue City on December 20. 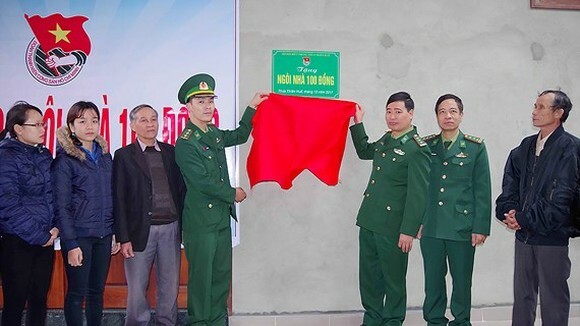 This is the first charitable house in the project “VND100 house” that has been launched by the Ho Chi Minh Communist Youth Union of the Thua Thien-Hue Provincial Border Guard High Command since 2012. 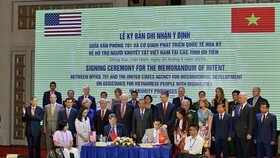 The project aims to present charity houses worth VND450 million per one to disadvantaged soldiers who have completed all assigned tasks in a timely with all efforts. 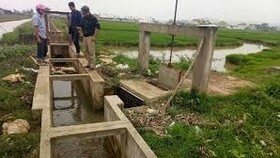 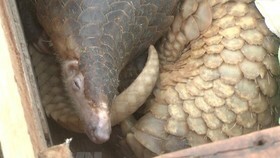 Lieutenant Vo Van Vinh is working at A Dot Border-Gate in Thua Thien Hue Province.